Friday marked Prince Harry's official kick-off for Queen Elizabeth II's Diamond Jubilee tour, with his first stop being in Belize. After beginning his day with formal meet and greets with several of the country's officials, he will finish his day with a street party held in the country's capital, Belmopan. There, the 27-year-old royal will formally name "HM Queen Elizabeth II Boulevard" while joining in on the celebration and touring the city's culture. Now through March 9, Prince William's younger brother will be hitting various towns throughout Belize, The Bahamas and Jamaica while representing his grandmother, who turns 85 this year, for the first official time. From March 9 through 11, Harry will head to Brazil. Organized by the Foreign and Commonwealth Office, the mini trip is designed to enhance the partnership between the United Kingdom and Brazil. 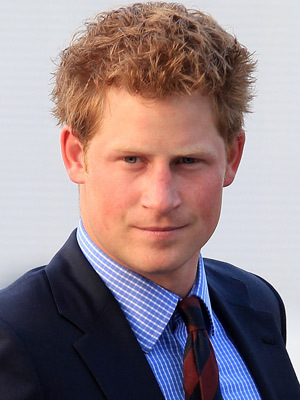 Harry will also represent his various philanthropic organizations. Once his official duties in Brazil are complete, Harry is expected to stay in the South American country until March 14.